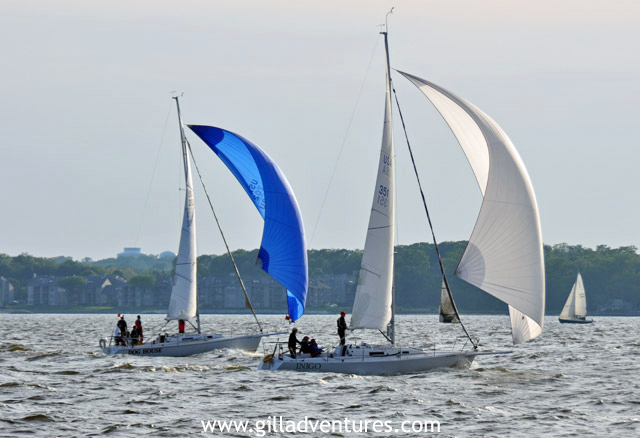 On Wednesday nights, the local Annapolis yacht club organizes sailboat races on Chesapeake Bay. The late light illuminates the sails and spinnakers. Photos shot with a Nikon D90 (which I managed to keep dry through the splashes and spray) and are available in high resolution.